The kitchen triangle, also known as the “work triangle” is a general rule of thumb when it comes to kitchen design. 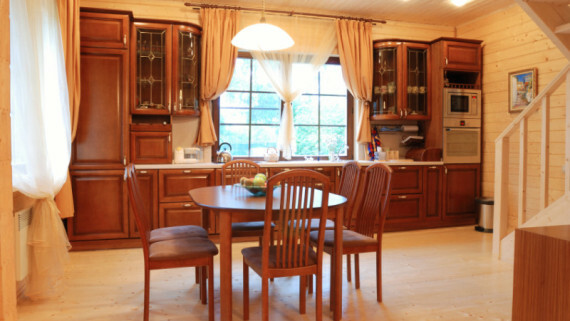 The sink, stove and refrigerator are placed in line with one another, in the most efficient and productive manner. Think about it as specific work areas: washing, cooking and cold storage. This article states that the ingenious kitchen triangle layout was developed in the early twentieth century. The rule of thumb is that each line of the triangle should be between four and nine feet and the total distance should fall between 13 and 26 feet total. The size of the room will determine how far apart each of the work areas should be placed. If you have a larger family, there should be ample seating for each family member. 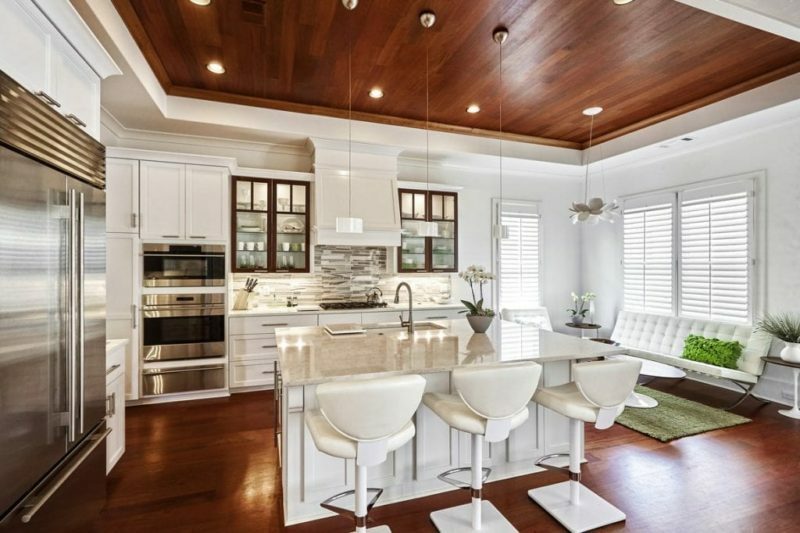 Often this will include adding a peninsula with a breakfast bar or an island with extra seating. The bonus to having this extra space is there will also be more work surface available to prepare meals. Keep in mind that the island or peninsula should not interfere with the lines of the work triangle. You don’t want to have to walk around obstacles to get to and from the stove or refrigerator. Another option to consider, is to add a smaller refrigerator at the bottom of the island or peninsula. This will keep other items, such as drinks or condiments handy and will still fall in line with the triangle. Some people prefer to add a sink to their island, as well. If you are someone who cooks often and likes to entertain, then plentiful counter space is a must. Long stretches of counter space are wonderful to use as a prep area for more that one person at a time. It also comes in handy as a buffet space when hosting gatherings. As long as these counters are situated to compliment the work triangle, you will be able to take advantage of them to their fullest potential. While you are planning your kitchen design, think about the placement of your cabinets and what you will be storing in them. Figure out how many cabinets you will need in conjunction to the layout of your kitchen triangle. For instance, you may want a smaller cabinet near the stove for spices. You may also want to incorporate a Lazy Susan for any corner cabinet that you have. Cabinets above the refrigerator are handy for those items that aren’t used often. Make the best use of the space available to you. Depending on your lifestyle, you may often have a number of family members or guests in the kitchen. This foot traffic should be of consideration when planning out the design of your kitchen. 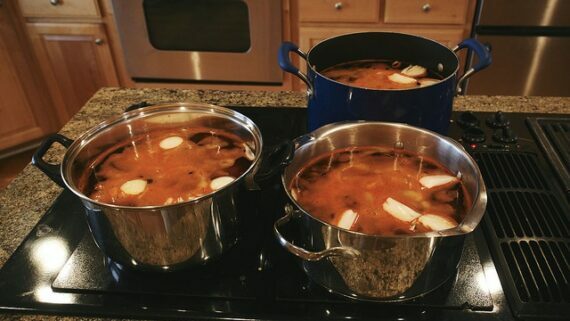 The last thing you want is to have someone walking in your way while you are carrying a hot pot to the stove. Having more than one entrance to the kitchen will help solve this problem. 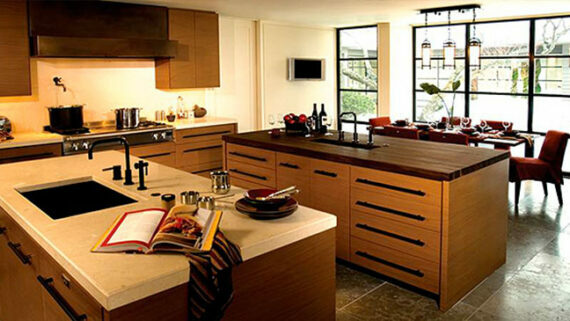 Mention any such concerns during your consultation with an experienced kitchen designer. 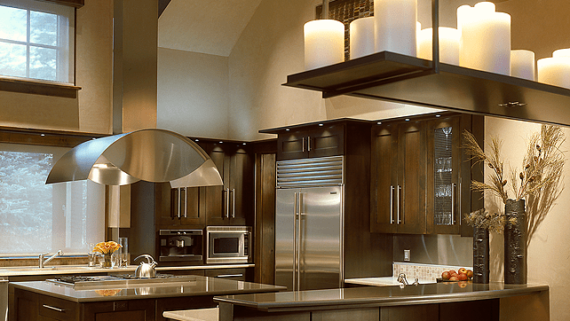 They will collect the details on how you envision your new kitchen, while keeping your budget in mind. It is evident that the work triangle is here to stay and it is important to design around it. Keep this in mind, if you are remodeling your existing kitchen or starting on a clean slate with a new construction. Prepping meals will be easier for you and the whole family, if you follow the simple guidelines of this classic layout plan. Incorporate the current design trends with this tried and true method and you will have the kitchen of your dreams. 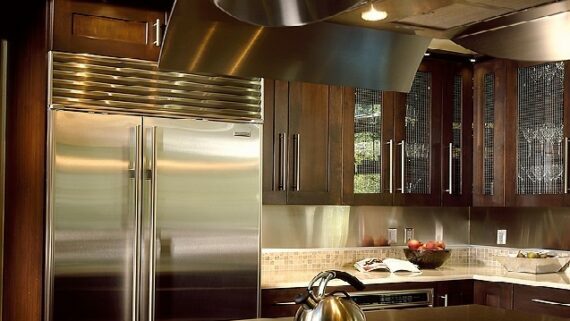 For further reading, check out: 4 Questions You Need To Ask Your Designer and 6 Tips For A Better Kitchen.